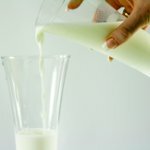 The date of June 1 was chosen because some countries already had a national milk day celebrated on or around this date. World Milk Day focuses on raising public awareness about the importance of milk as part of a health balance diet and the significance of the milk industry. People have been consuming milk since the domestication of animals. As mammals produce milk as a food source for their offspring, it contains lipids, proteins, carbohydrates, salts, minerals, vitamins – in other words, all healthy nutrients required by the body. For instance, cow milk contains 22% to 29% of the daily recommended intake of calcium. Milk is one of the most important agricultural products. The world's largest exporters of milk and dairy products are the member states of the European Union, the United States, Australia, and New Zealand. World Milk Day is celebrated in many countries across the world. It is an opportunity to recognize the importance of milk and milk products. Events and activities held on the occasion are organized by health and agricultural organizations, milk producers etc.